"Financial technology, also known as FinTech, is a line of business based on using software to provide financial services. Financial technology companies are generally startups founded with the purpose of disrupting incumbent financial systems and corporations that rely less on software." Jeff Cain directs the Envestnet|Yodlee Incubator. He has extensive technology and startup experience, having been a business development and M&A executive at companies such as Common Sense Media, Cadence Design Systems and Red Herring. He built an ecosystem of wireless startups for Rutberg & Company and ran a consultancy that provided M&A, partnership and business planning services to technology and media companies. Jeff also started two consumer products companies and was even an investment banker. Jeff holds a BA in economics from Stanford and an MA in religion from Harvard. Peter Wycisk serves as an Investor at Pegasus Tech Ventures, managing investments in the US and Europe. Prior to his role at Pegasus, Peter worked in investment banking and municipal finance. His responsibilities included execution of diverse quantitative analyses, and development of innovative financing and rating agency strategies for various issuers. To date he worked on over 30 transactions totaling approximately $2 billion. Peter holds a degree in Management and Finance from Case Western Reserve University. 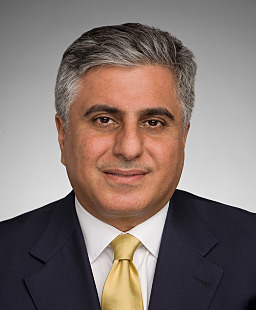 Arman Pahlavan is a corporate attorney and partner at the Perkins Coie's Emerging Companies and Private Equity groups in Palo Alto. He advises venture capital and private equity funds and their portfolio companies across their legal needs. He counsels them on mergers and acquisitions, corporate finance, intellectual property transactions and fund formation matters. Arman has extensive experience advising clients with emphasis on cross border transactions for corporate clients and in his investment company practice. His knowledge runs across industry lines including operating in the software information technologies, life sciences and energy.